Help small businesses fight their way through an exhausting digital marketing world and reach their goal, peak performance. With experience spanning from small boutique agencies to one of the largest website creation companies in the world, we saw the potential for a simplified, effective, creation process that would give small businesses a quality web presence without the enormous price tag associated with a big agency. A website that works. It seems easy, but it often times gets lost in the shuffle of design requests and branding. The bottom line— Every website needs to create an action. 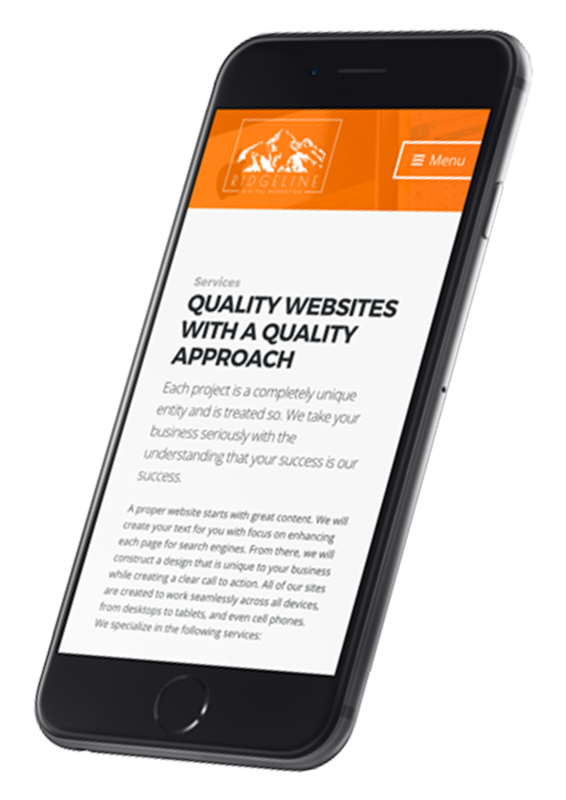 Our sites work across all devices to generate leads, increase sales, and deliver results. We are dedicated to our customers and their aspirations. We are real people doing the same thing as you, running a business we are passionate about. We ensure your web presence matches your business and most of all, it takes your business to the top. Our websites look great and work great. With an eye for user experience and a knack for design, count on a striking site that works across all devices.